C.A.R.Score is a consumer vehicle condition report that assesses the condition of all areas of the vehicle including instrument and control panels, interior odors, mirrors, upholstery, even right down to the tire tread depth. Full-service reporting. You won’t lift a finger. 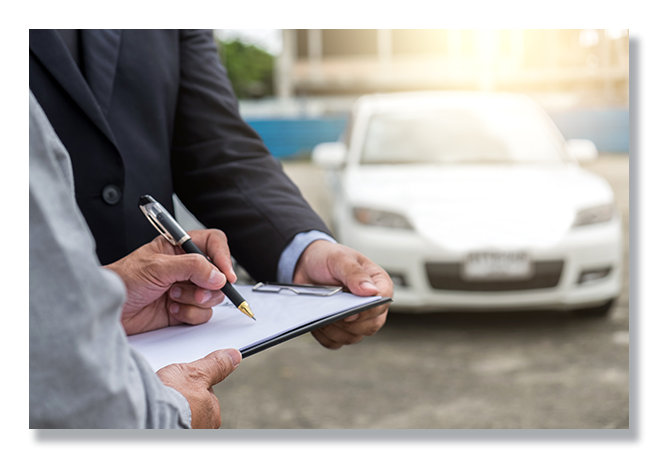 Our certified reps will come to your lot and assess each vehicle you request a report for. You’ll receive an email of the detailed report before anything gets posted online. A clear picture for you and your potential buyers. 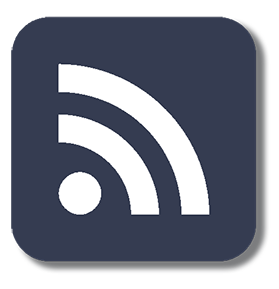 Once the reps have performed each asset you’ll have a chance to review each report. This can help you catch anything missed in reconditioning that could hinder the sale of your vehicles. C.A.R.Score’s reporting is more detailed than any other condition or history report. These in-depth reports can help strengthen buyer confidence and answer shopper vehicle questions that history reports don’t address. Erase a negative history report with a high score. A car shopper could be highly interested in a vehicle but then get scared off by its history report. C.A.R.Score can put this shopper’s mind at ease! Detailed reports can prove that despite an accident, the vehicle has been properly reconditioned and is as good as new. 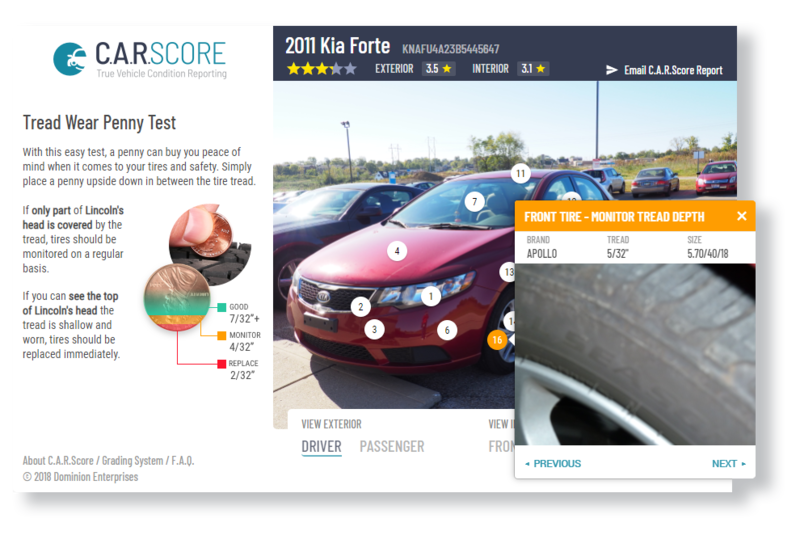 C.A.R.Score reports go in-depth to show shoppers the condition of vehicle features in ways they can understand. 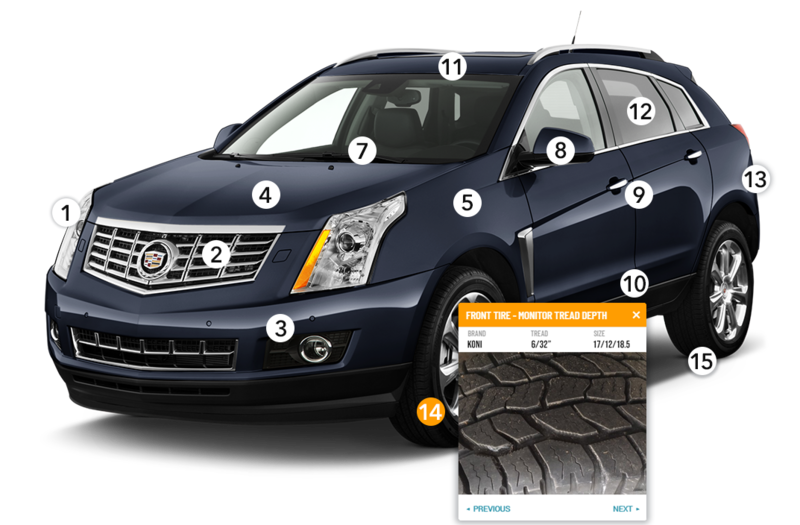 The Penny Test assesses a car’s tire tread and presents it in an easily digestible format. Show off C.A.R.Score ratings everywhere. Once you’ve approved the reports, your vehicle’s C.A.R.Score report will be syndicated on your 3rd- party listings. Watch this video to learn more about C.A.R.Score True Vehicle Condition Reporting. See the stats that prove that recent car buyers would be more likely to contact a dealership, test drive a vehicle, and more after viewing a C.A.R.Score report. 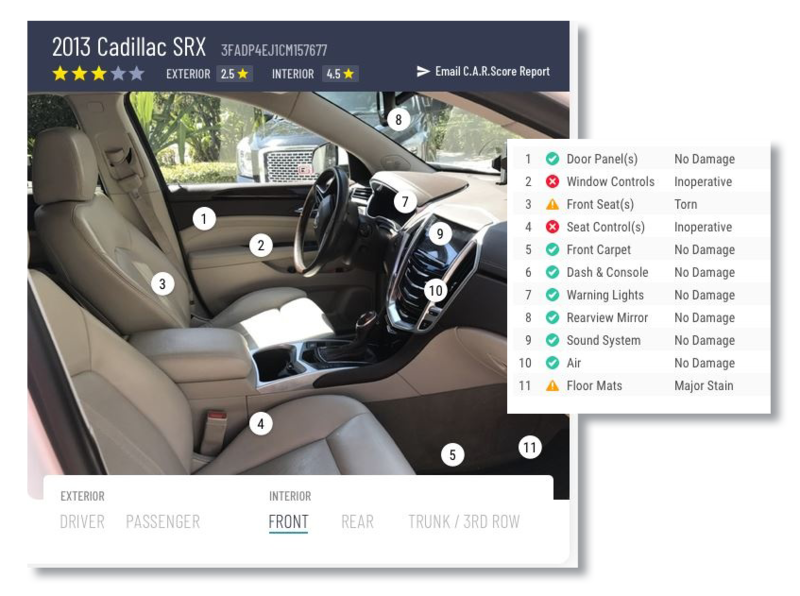 Dominion Dealer Solutions launches a new way for dealers to build trust with buyers through transparent vehicle condition reports.